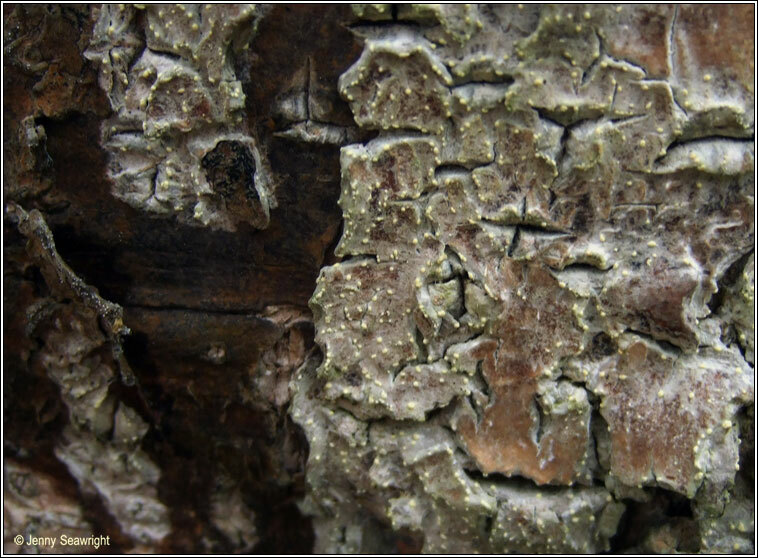 Growth type lichenicolous / crustose. 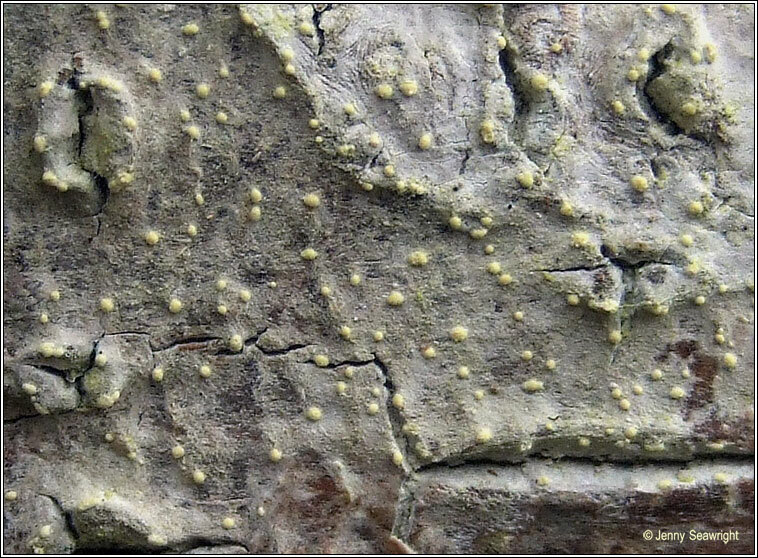 Initially lichenicolous taking over Trentepohlia (host algae) from Enterographa crassa, Lecanactis abietina and Cresponea premnea. Later forms an independent web-like, pale pinkish-white, cottony thallus often encrusted with crystals. 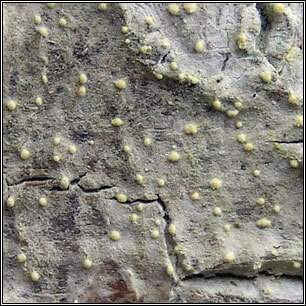 Cushion-like pale creamy-yellow sporodochia are usually present, apothecia absent. First described in 1980. 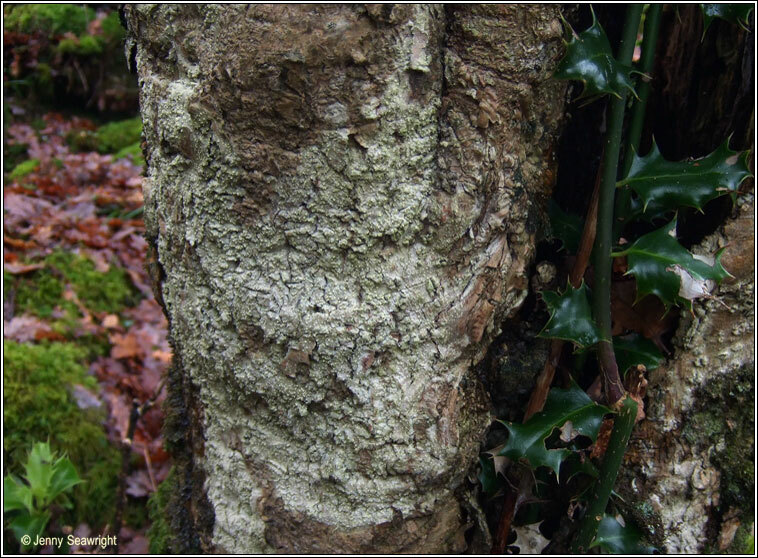 Rare, in old woodland on Enterographa and Lecanactis species towards the base of sheltered Oak and Holly. Recorded in Ireland from Co. Waterford and Co. Kerry.